From a perspective of understanding the past, Denise Christie assesses the present and future of the union and service in Scotland. When all is said and done, firefighting comes down to this: that a small number of people will go into a darkened, smoke-logged building, not knowing what they are going to meet, having faith in each other, in the long run prepared to risk their lives to save the lives of other people. In the long run, no matter what transformation we effect in the fire service, firefighting in its final stages remains just that. And we do not forget it. These were the words spoken at an FBU conference in 1960 in Rothesey by then FBU General Secretary, John Horner. They are as pertinent today, when discussions are taking place on transforming the Scottish Fire and Rescue Service, as they were when first spoken then. It has been said that the fire and rescue service (F&RS) is in urgent need of transformation from the days of the inception of the Fire Services Act 1947. But analysis like this could not be further from the truth and I would ask those who support this view to reflect on the decades of transformation that has made firefighters into the highly skilled and dedicated professionals that we are today. Firefighters have continually adapted to new and emerging risks, trained with new techniques and equipment and continually expanded our role throughout the decades after the 1947 Act. The name has changed from fire brigade to fire service and now to F&RS due to the expansion of incidents firefighters now attend. Rescues from height, rescues from water, rescues from collapsed buildings, rescues from road traffic collisions, rescues from chemical incidents – the list goes on. The disgraceful element of all of this is the complete lack of funding to increase the pay of firefighters. For too many years, our employers and governments have taken the good will of firefighters for granted, especially their desire to intervene swiftly in any situation as it is widely known that this is built into a firefighters’ DNA. They are quick enough to pat us on the back at major fire and flood incidents and roll up to a fire station for a photo opportunity, but when it comes down to remunerating us for those efforts through a pay increase then the sound of tumbleweed is deafening! Many of the new roles firefighters have taken on have been without proper recompense and, at the FBU conference this year, we heard stories of firefighters regularly attending foodbanks and of genuine hardship. Proposals for a Britain-wide deal for an increase in firefighter pay for new work are currently being discussed between the FBU and our employers through the National Joint Council (NJC) but any such deal is heavily dependent upon investment and sustainable funding by the governments across Britain. These proposals must come with a substantial increase in pay that cannot be self-funded by further cuts to the Scottish F&RS. The FBU has consistently made it clear that there will be no negotiations that include job losses or the closure or down grading of fire stations. We have already seen the loss of over 700 frontline firefighter jobs since the introduction of the single Scottish F&RS in 2013 and a direct impact of that is the unavailability of between 60 to 100 fire appliances in Scotland each day. Discussions, through the NJC, on new work for an increase in pay, are taking place in Scotland and at a recent meeting with the Scottish Government Minister for Community Safety, Ash Denham, the FBU welcomed the broad commitment to provide funding. However, this commitment needs to go further if the Scottish Government is serious about long-term investment for the Scottish F&RS and this must also be laid down in its programme for government. The campaigning work Scottish firefighters have carried out needs to be applauded. When I was elected as Scottish regional secretary last year, my first priority was to prepare our members and officials to lobby politicians of all parties to support our campaign to stop the cuts. The previous four years had seen year-on-year budget cuts amounting to £53m in real terms. Members and branches need to be organised and have the tools for an effective campaign. 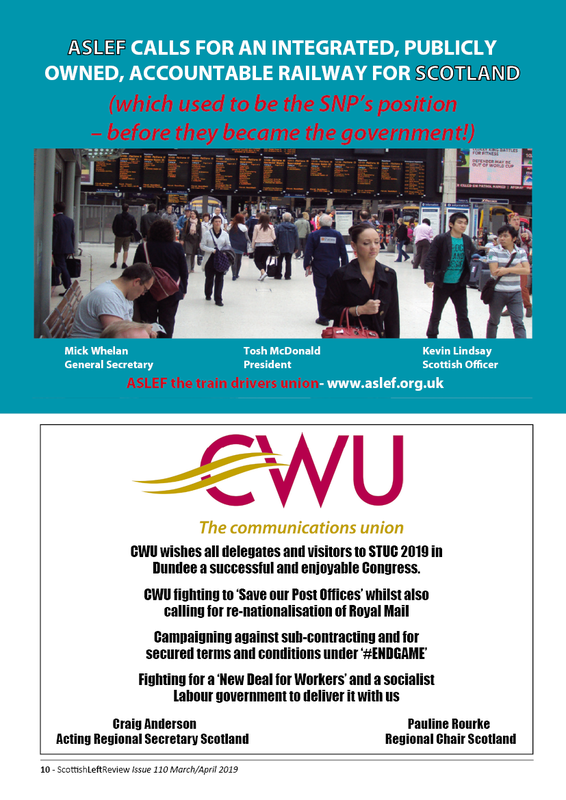 We readily made available professional briefing packs on how to lobby a politician as well as evidence and details of where the cuts were hitting hard. Firefighters were and still are regular visitors to the Scottish parliament and constituency offices making the case for more investment. We must continue to keep that pressure on. 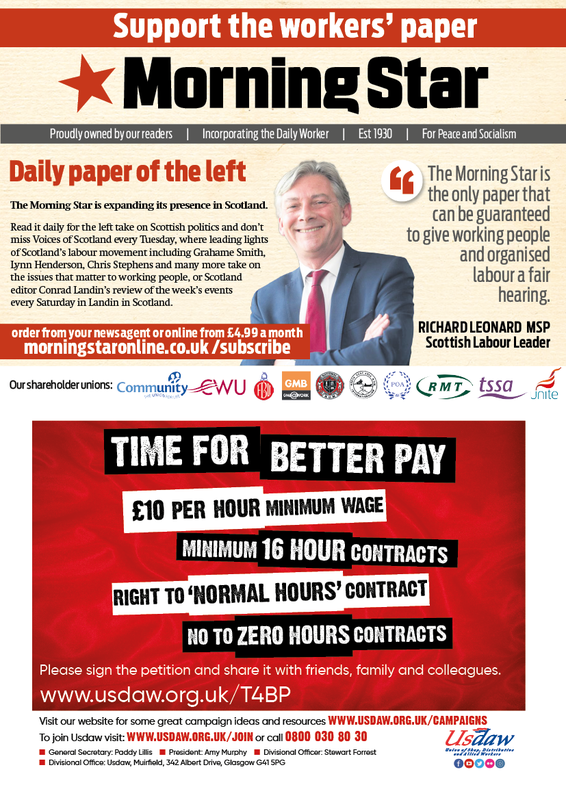 That pressure amounted to two urgent questions being asked in the Scottish Parliament about cuts to the Scottish F&RS. The first question in October 2017 was to summon the Minister ‘to ask the Scottish Government what its response is to reports that the Scottish Fire and Rescue Service plans to close fire stations and reduce firefighter numbers’. The Minister responded by saying that no decisions had been made regarding transforming the Scottish Fi&RS and during the debate, she was further asked ‘if the Government will adequately fund the transition to ensure that no part of Scotland does not have adequate fire cover.’ The Minister responded by saying that ‘it is clear that transformation can work only if the resources are available to the Scottish fire and Rescue Service to ensure that it can deliver the service that we all expect from it.’ This direct pressure from the union resulted in the Minister publicly stating that resources need to be made available for any successful transformation programme. The second urgent question in January this year again summoned the Minister ‘to ask the Scottish Government whether it will provide an update on the reported reform of firefighters’ pay and conditions.’ This question stemmed from the Scottish F&RS bypassing the FBU and writing directly to firefighters over their pay, terms and conditions. 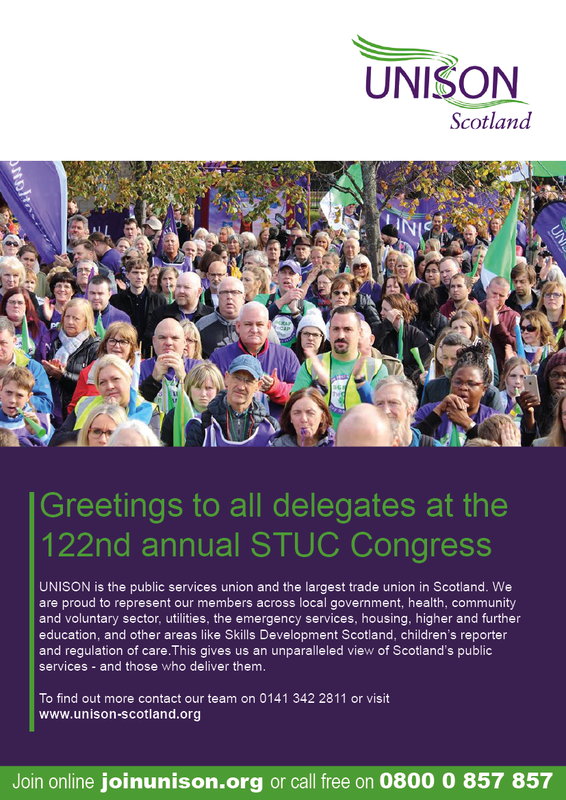 Immediately, we ran a campaign with the STUC to challenge the undermining of collective bargaining which ultimately resulted in the urgent question being asked. The Minister committed to the collective bargaining process and the strength of the union and wider movement shone through during that time. 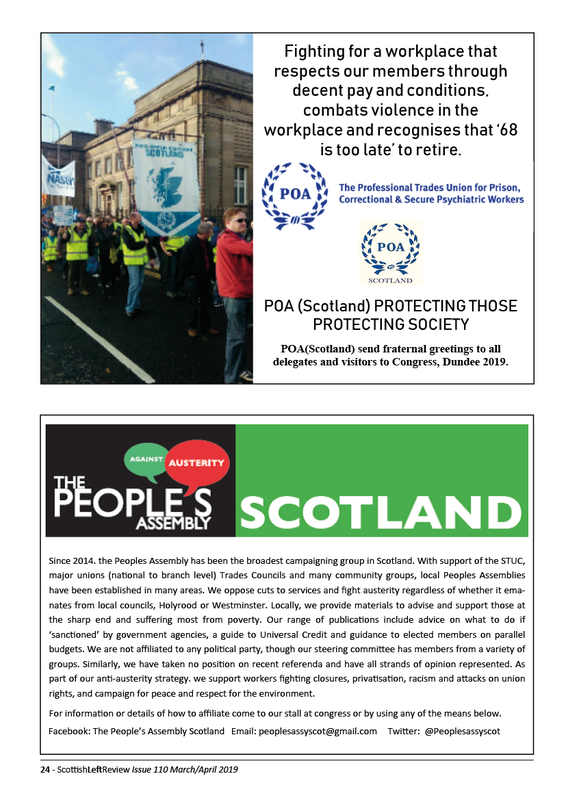 The union movement in Scotland also came out and supported us at our lobby of the Scottish Parliament during First Minister’s Questions. This was directly before the setting of the Budget and it was vital that firefighters’ voices were heard. We had some degree of success when our lobbying secured an extra £15.5m into the Scottish F&RS budget. That lobbying also included the ability for Scottish F&RS to reclaim the VAT back at a cost of £10m per year. I want to place on record my thanks to the many members and officials who campaigned hard during that time. Firefighters are incredibly proud that the FBU is a Britain-wide union – one of the few that still has Britain-wide collective bargaining powers. Members have worked extremely hard over the years to maintain our strength and unity. That commitment continues until this day. 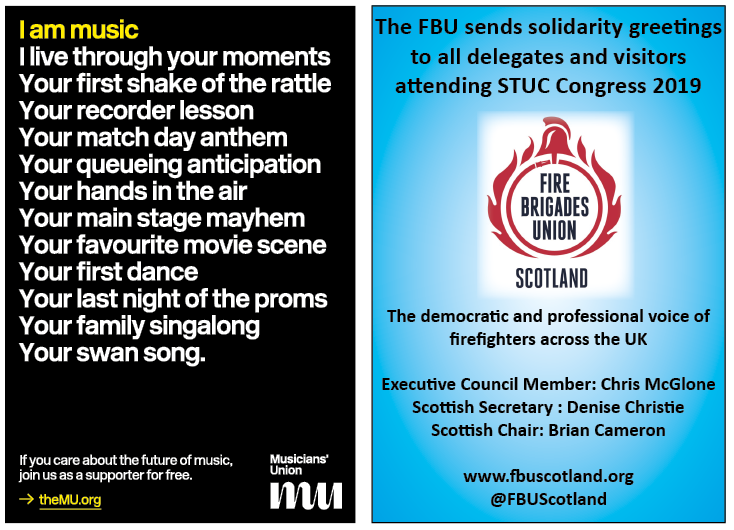 But it is important to acknowledge the vital role the FBU in Scotland has when it is dealing with a devolved parliament and devolved legislation. An example of this was when a fire swept through a 14-storey block of flats in South Ayrshire in 1999 destroying nine floors of the Garnock Court block in Irvine. The fire was caused by flammable cladding. The FBU campaigned for legislation to change across Britain. 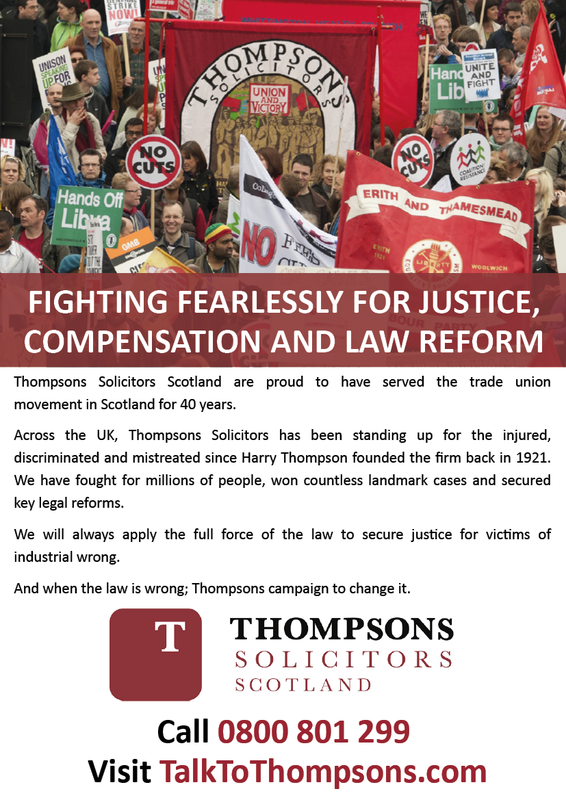 This was a devolved issue and the Scottish Government and Scottish Parliament, at that time, took on board the many safety issues we had raised along with other interested bodies. This then led to a change in building regulations in 2005 that made it mandatory for builders to ensure that any external cladding inhibited fire spreading. Unfortunately, Westminster didn’t take heed of our concerns and twelve years on we saw the horrific Grenfell Tower tragedy where 72 people were killed in a fire that burned like a Roman Candle. The investigation into the fire is still ongoing and a fuller picture of what part the flammable cladding played will become clearer at the conclusion of that. The FBU wants to see a resilient F&RS, capable of dealing with the full range of risks consistently across Scotland and Britain. That requires resources and most of all, the firefighters, to do the job. The FBU wants the F&RS to be democratically accountable, both to the public we serve and to the firefighters who work in it. Whatever plans may come forth in the coming period, the FBU is clear that austerity is the worst environment for re-organisation and transformation. The union will continue to fight for investment in the fire and rescue service and to oppose cuts. Whatever institutional structures are proposed, they will require common and consistent national standards that can improve firefighter and public safety and can stand up to professional and public scrutiny at a national and local level. Confidence and assurance in the service provided are significantly assisted by an independent regulator and inspectorate setting the standards and bringing the providers to account. The F&RS has become dangerously fragmented since the scrapping of national standards including the deterioration in the speed and weight of emergency response needed to deal efficiently with an expanding range of incident types. There is a crying need for a high-level and professional advisory and standard-setting body, with a wider remit and more resources than those of the current chief fire and rescue advisor arrangements. This would include senior elected FBU officials to contribute to and oversee the production of operational guidance throughout the service such as the previous role the Central Fire Brigade Advisory Council (CFBAC) for Scotland had before it was closed down. But to achieve all of this we must not only have a high density union but also a high participation of our members. In Scotland, we have seen in recent times this participation increase. 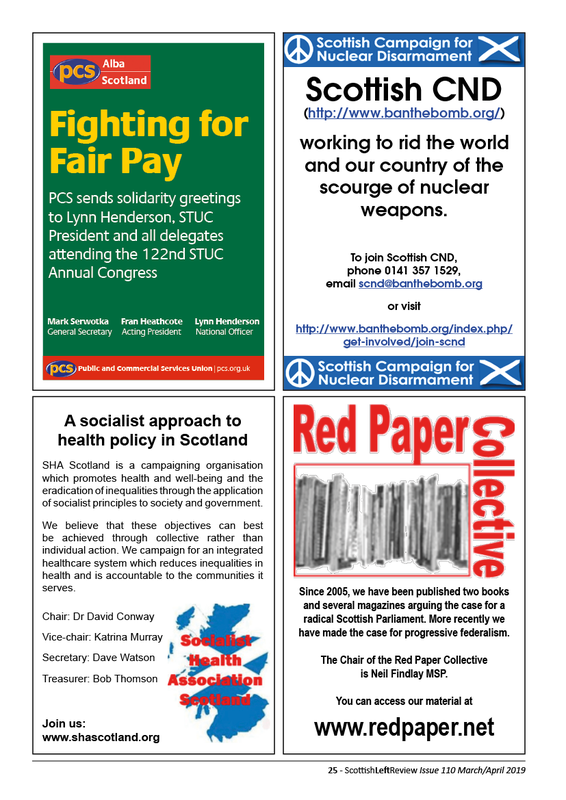 Branches all over Scotland are meeting regularly with well attended area and sectional committee meetings. Reps are continually subscribing to educational courses and our members are getting more organised. We have reps for all of our equality sections for black and ethnic minority members, LGBT members and women members. We have reps in place for operational control members, officer members and retained members. All the regional remits for health and safety, fairness at work and education are full and the seats round the regional committee are filled with passionate and committed trade unionists. 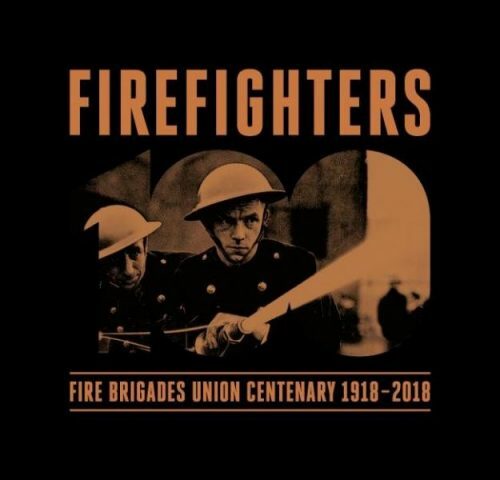 Scotland has always been a key part of the FBU throughout our centenary. We have produced great leaders and firsts such as our former General Secretary, Ken Cameron, and two Presidents in Enoch Humphries and the first women President, Ruth Winters. Many officials have come before us and like many unions there have been disagreements and differences but there is also a deep rooted respect. That respect stems from the knowledge of the long hours, days away from the family and home and the passion we have to strive for better pay terms and conditions for our members and the love we have for our profession. I want to thank all those that have kept the FBU from being eaten up by bigger unions. It’s imperative that we maintain our reputation as the professional voice of firefighters and the defenders of the fire and rescue service. I’m incredibly proud of the role my union has played these last 100 years through our internationalism, our socialism and our solidarity with others in the movement. Here’s to the next 100! Denise Christie is the FBU Scottish regional secretary. She is the first woman in the FBU’s history to be elected to the post and is currently the most senior woman official in the FBU. She joined the fire service as a firefighter in 1997 in the Lothians. 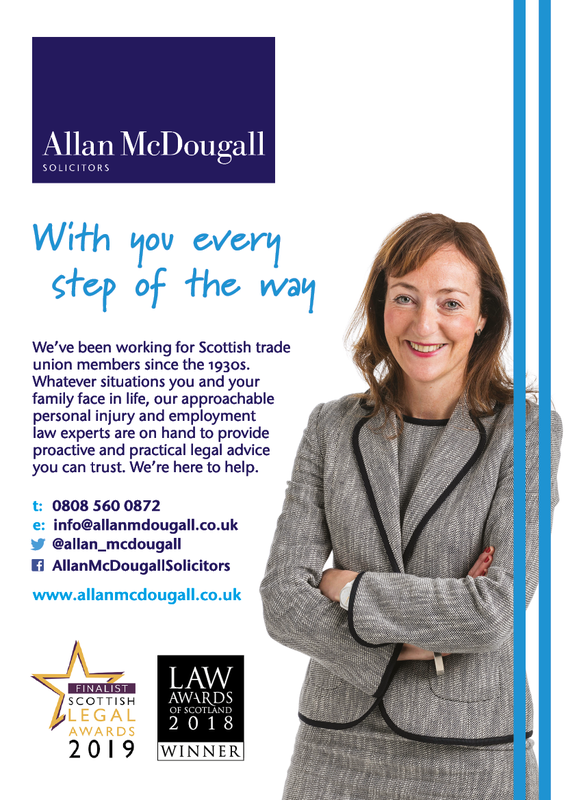 She has also been the Scottish regional treasurer and FBU Lothian and Borders Brigade chair. After attending an FBU women’s school in 2004, she joined the FBU’s National Women’s Committee, then becoming its Executive Council Member.